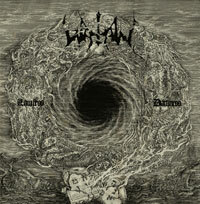 A DARK AND EPIC MASTERPIECE OF BLACK METAL FROM RISING UNDERGROUND SWEDISH METALLERS WATAIN! WATAIN have created an epic masterpiece of utter darkness. Clawing their way out of the Black Metal underground yet firmly remaining part of it since their founding in 1998, the Swedes have already become a major player in the genre with “Sworn to the Dark” (2007). Now they are ready to conquer the throne with “Lawless Darkness”. The world’s extreme music press are already lined up in eager anticipation. WATAIN have quickly established themselves as a phenomenon of most sinister kind. Starting with the 7” EP entitled “The Essence of Black Purity” (1999), which was soon followed by the acclaimed debut “Rabid Death’s Curse” (2000) the trio from Uppsala gained a massive following by showing a merciless devotion to their creation. Their second full-length “Casus Luciferi” was hailed as one of the most relevant underground Black Metal albums of the new millennium. Their outrageously intense live rituals imbued in blood, fire and magic, which WATAIN celebrated sharing stages with DARK FUNERAL and ROTTING CHRIST, made the Swedes gain an enormous reputation. Now WATAIN are ready for the next step in their fast rising career with several cover stories in major Metal magazines already reserved. “Lawless Darkness” amalgamates severe blackness with an uncanny knack for capturing melodies and beauty of the darkest kind, which even attracted Carl McCoy of the FIELDS OF THE NEPHILIM to add his vocals in a stunning guest performance. WATAIN are out to get you and there is no escape!